If you are craving some authentic Indian cuisine while on your visit to Greece, the Indian Kitchen that offers a wonderful combination of cooking styles and flavours would prove to be an ideal choice. The restaurant specialized in a wide variety of food items be it vegetarian or non-vegetarian from the sub-continent. From starters and drinks to naan and wide variety of vegetables, spicy chicken dishes to bread, kebabs, prawns, beef, lambs, and a wide array of desserts, you can find it all here. Their menu is focused on the highest quality of produce and only fresh seasonal ingredients are used for each and every item on the menu. If you want, you can also opt for takeaways. 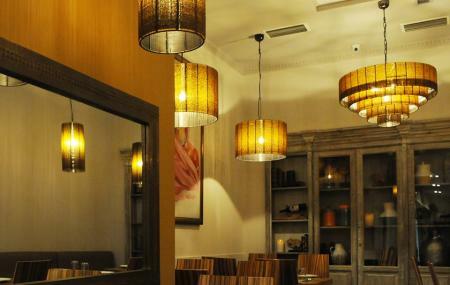 Small cosy restaurant with nice spicy options and wonderful salads. Kind stuff and very clean. I would give it a recommendation for those who like spice food. Otherwise - its not for you. Authentic Indian food. Quality staff and service. Nice experience. One of the best indian restaurant in the world. Very clean, fresh. Mango quinoa salad is a must to try.